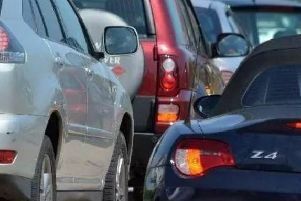 A study worth nearly £600,000 is to explore options for improving the A1 from Peterborough to the M25. Highways England has appointed Arup to carry out a study into improving the A1 from its junction with the M25 to Peterborough. In particular, it will look at the case for improving the non-motorway section linking the two parts of the A1(M) to motorway standard. Arup will review existing evidence and prepare a case to consider further investment on the A1. The study will look at bringing consistency to the southern section of the route and whether improvements, including changing the alignment of the road, could reduce the environmental impact of the existing route and benefit local communities. Nigel Edwards, Divisional Director of Strategic Planning at Highways England, said: “This study could lead to major benefits across the East and I’m pleased we’ve now reached the stage where we can appoint a specialist company to assess the feasibility and start the process. The study is due to be completed by the end of 2016.